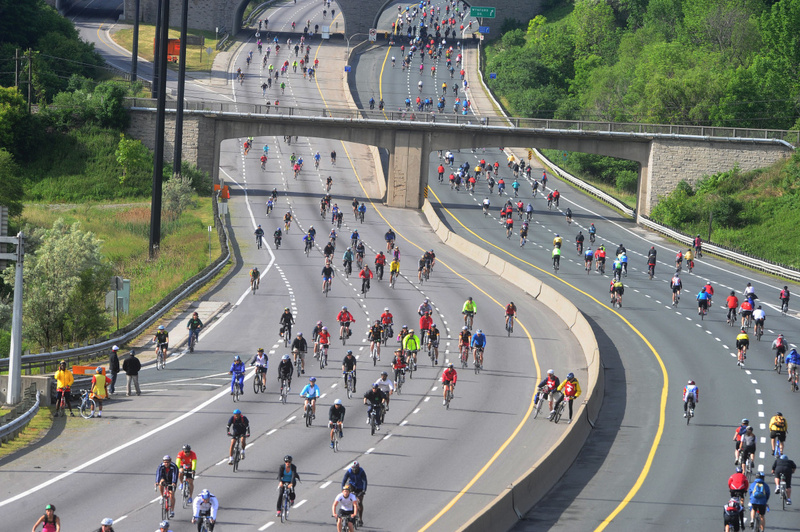 TBN is still looking for volunteers to help at Ride for Heart, a once-a-year ride along the Gardiner Expressway and Don Valley Parkway with thousands of other cyclists. It's a car-free, cost-free ride for our two groups of volunteer riders, who will end their duties with a beer-and-wings celebration at a local pub. As in previous years, we need 40-50 “Ride Ambassadors,” who will wear special Ride for Heart T-shirts and help throughout the route with roadside assistance such as minor mechanical issues or calling for first-aid. We also need at least 15 pairs of volunteers for a new “Ride marshals” role, helping to ensure rider safety along the route. You will ride in pairs, wearing the new TBN jerseys, plus identifying arm bands supplied by Ride for Heart, and will watch to ensure participants take care on the ride, and that they don't ride too fast. The ride takes place on Sunday June 2. Please register no later than April 30. TBN holds a special meeting on Friday April 5 for our club ambassadors, a new group of members who will tell new members about the club and make sure they have fun on their first TBN rides. The ambassadors will reach out to new members and answer their questions, and make sure they don't ride alone on their first excursions with the club. See the website for more details, or contact member experience director Mary Newman at experience@tbn.ca if you want to help. The meeting takes place at 6pm on April 5th at 95 Northern Dancer Blvd, with easy TTC access, street parking and bicycle parking. TBN's riding season is up and running, despite chilly mornings and some lingering snow and ice. Check the website for details on everything that's coming up, and also check back a couple of hours before a ride to be sure it's still running. We have rides on Saturdays and Sundays, and on several days during the week, and the number of weekly rides will ramp up as the season continues. Non-members can try a ride as a guest for a fee of $5, and you can even register for the ride and make that payment ahead of time. In fact, we recommend it. While we're on the subject of riding, please check out TBN's ride classifications, so you can find the ride that fits you best. Our Tourist and Sportif rides are the fastest, designed for riders who can keep up with the pack or are happy riding along or in small groups. And the Urban Roller and Leisure Wheeler rides are no-drop rides at a gentler pace. There's something for everybody. Register now for TBN's Spring Kickoff, which takes place on Saturday, May 11 at Etienne Brule Park in Etobicoke. We'll have food, rides and prizes at this special events, which is one of the highlights of the TBN annual calendar. This event is free, but we ask people to register so we know how much food to buy. More details on the website. 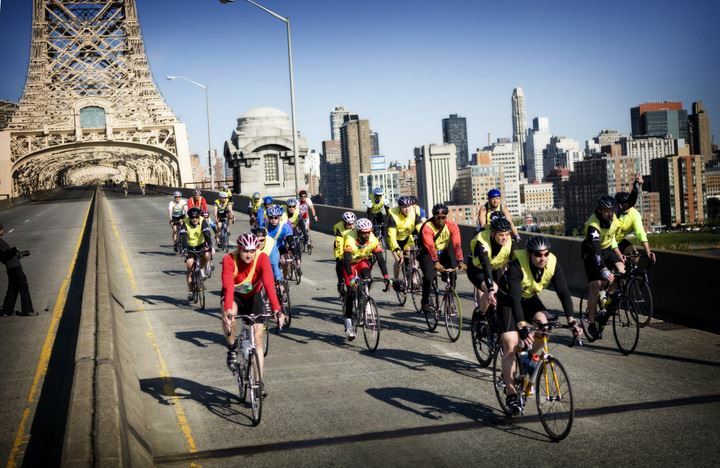 There are still slots at both venues on TBN's second excursion to New York's exciting May 5 Five Boro Bike Tour, when 32,000 cyclists get the once-a-year chance to ride along car-free roads and bridges that will be closed to traffic for the event. Our plan: car pool to the New York area on Thursday, May 2, play tourist in New York, enjoy the ride and then return to Toronto on Monday, May 6. See the website to register. 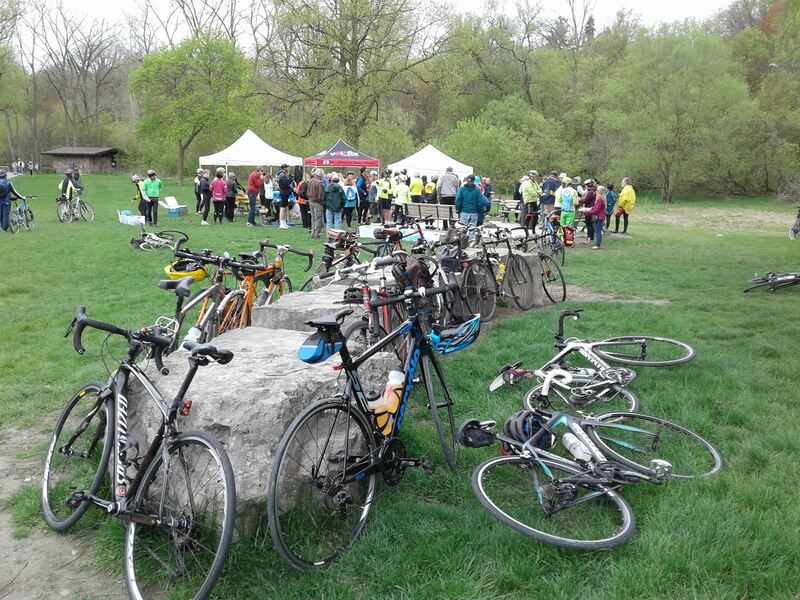 Our Victoria Day weekend cycling trip to the Niagara region is full, but you can still join the wait list, in case other participants have to drop out. More details on the website. TBN's first trip to the Go Bike Montreal festival is sold out, but you can still join the waiting list. See the TBN website for details.